Now going into its fifth year, the CEIBS Summer Pre-MBA Boot Camp is the ideal programme to let you “get your toes wet” before you take the plunge. 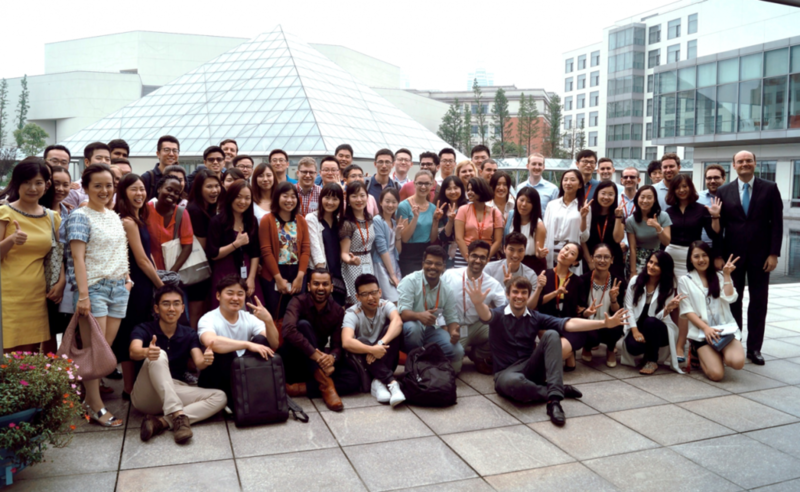 As part of an elite group of participants, you will have a unique opportunity to come to Shanghai for one week to live and experience China and the CEIBS MBA to the fullest. The programme is open to a limited number of Chinese and international applicants who are considering an MBA degree in the near future. You must be either currently enrolled or have graduated from an accredited undergraduate university programme anywhere in the world, preferably with a minimum of one year work experience. Space is limited, and offered on a first come first serve basis. Your application will be evaluated and upon initial approval you will be invited for a brief 15 minutes phone / Skype interview. To begin the application process please click here. Accommodation: On-campus 4*executive dorm facilities single occupancy (space very limited, once full you will be offered our full-time dorms which are more basic). Private accommodation at a nearby apart-hotel is also available at an additional charge. Cost: 9900 RMB/ 1350 Euros*. Payment should be wired through the bank with the account information in admission notice email. Applicants with a valid GMAT score above 600 will receive an extra 20% off from the programme fee. *Refund Policy- 70% up to four weeks prior to commencement of programme. 60% up to two weeks. No refund two weeks prior to the commencement of the course.